Thinking about crossing Buenos Aires, Argentina off of your bucketlist? Or just want to re-visit? Be sure to visit the top five sites below to get a good mix of history, politics, architecture and culture during your trip to B.A. 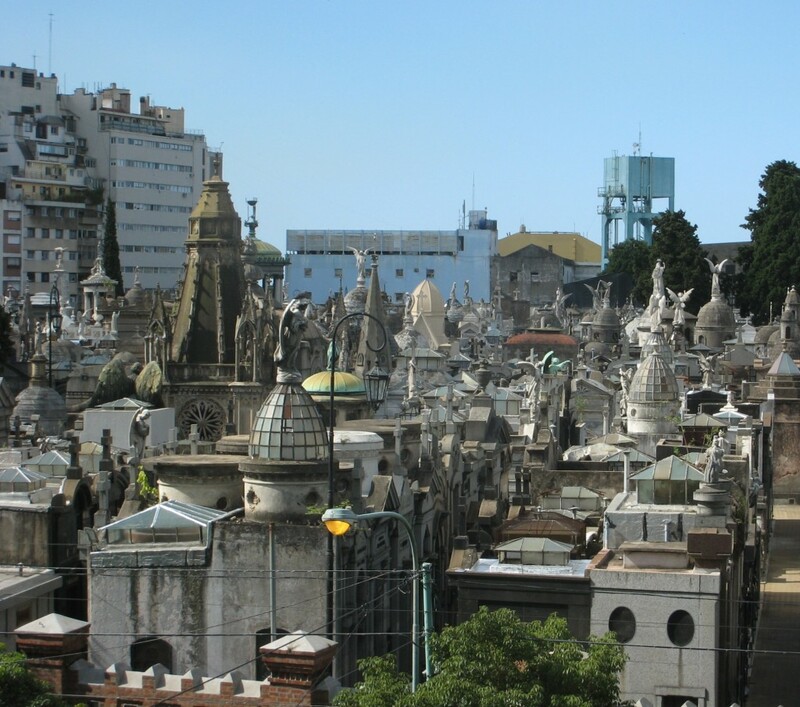 Here in the Cementerio de la Recoleta (Recoleta Cemetery), travelers wander through the maze of opulent mausoleums – new and old – to witness the final resting place of the former First Lady, Eva Perón. It’s best to try and ask where to find her grave. It’s not easy to find if you’re by yourself unless it is a busy day and there are a lot of tour groups to follow. 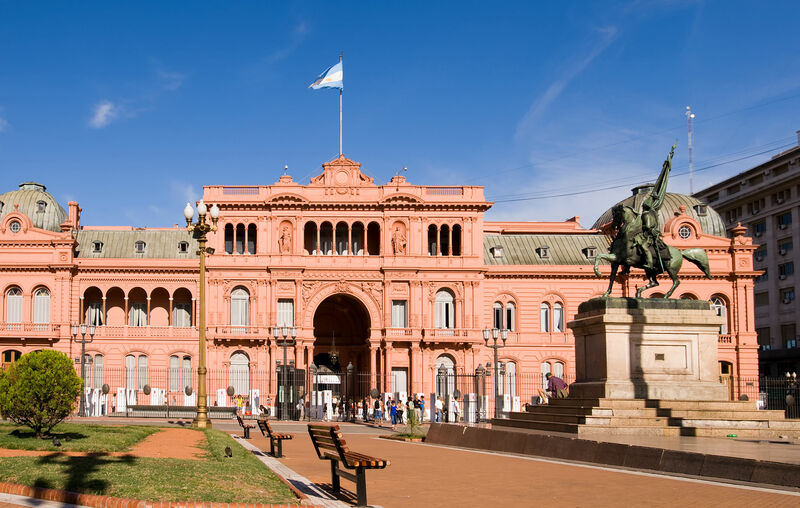 Bordered by signs of outcry toward the Argentinean politics, the aptly named Pink House is a monument not to be missed. Gain complimentary entrance into the home of the President’s office, and explore the peaceful gardens, stunning artwork and photo-ready-armed guards. 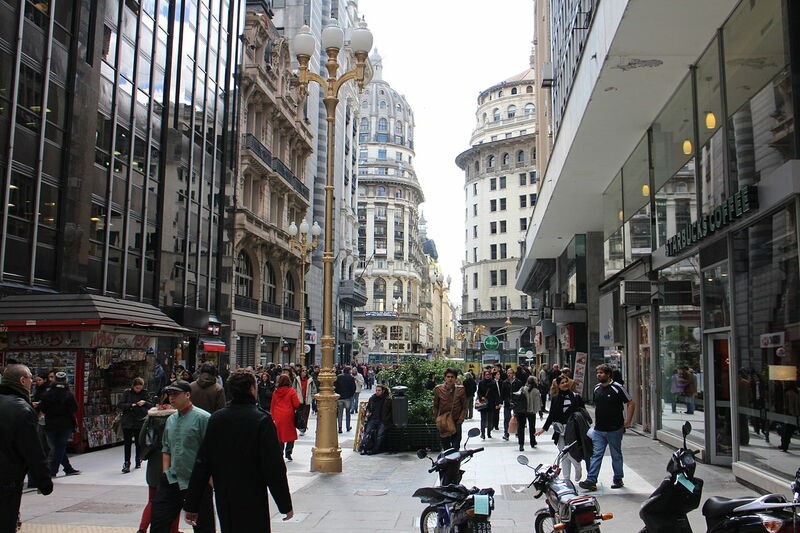 This pedestrian-only street is the Times Square of Buenos Aires. Calle Florida is the perfect location to pick up souvenirs or even a place to exchange money on the thriving black market of B.A. Every step you take someone is yelling “cambio…cambio,” luring visitors to exchange their money to receive almost twice the exchange rate compared with traditional currency exchange locations. Users beware, though this is a very popular way to get more bang for your buck, the counterfeit-bills market is just as popular. 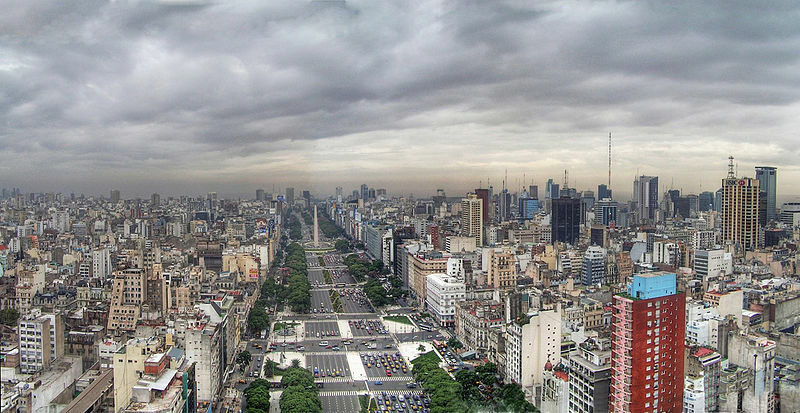 Translated to July 9th Avenue, named for Argentina’s Independence Day, this is the widest street in the world. 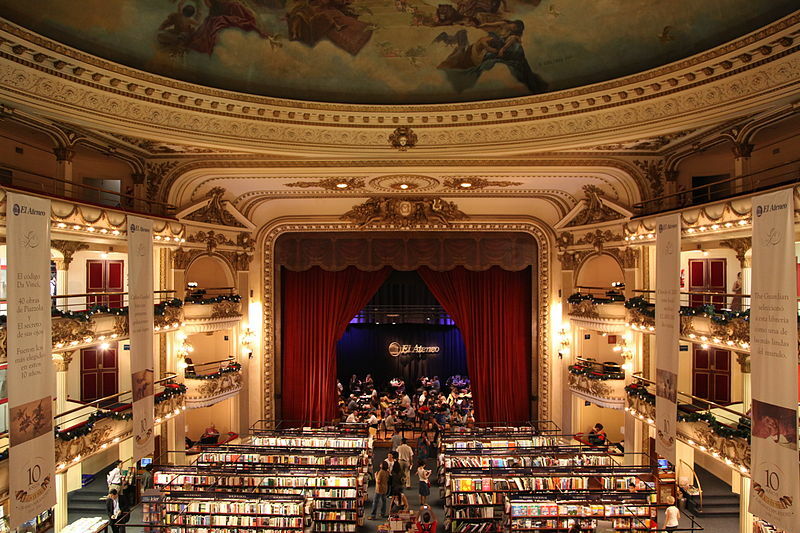 It’s also where tourists can find an obelisk similar to that of the one in Washington, D.C.
Once a stunning theater, El Ateneo Grand Splendid is now an ornately designed bookstore and café. Visitors can lounge in a sofa in one of the old boxes to read a book. Or grab a table center stage to dine and drink. This is a very popular destination for locals and tourists. How To Get There: Ezeiza International Airport (EZE) is approximately 20 miles from downtown Buenos Aires, and is serviced by over 30 domestic and international airline carriers such as Delta Air Lines, Copa and United Airlines. The most recommended transportation option would be to take a cab from the airport. Given the strong conversion rate for USD to Argentine Pesos (approx 10:1), this option is usually the fastest, and most cost effective. Best Time To Visit: The best times to visit is opposite to that of the U.S. because it’s in the Southern Hemisphere. Good times to visit, and avoid large amounts of tourists, would be September-November (spring) and March-May (fall). The summer time is the perfect time to go if you like to hit up beach and resort towns, but the crowds will be dense.